It always seems that there are either too many clouds or none at all when I have an opportunity to photograph Mount Baker. 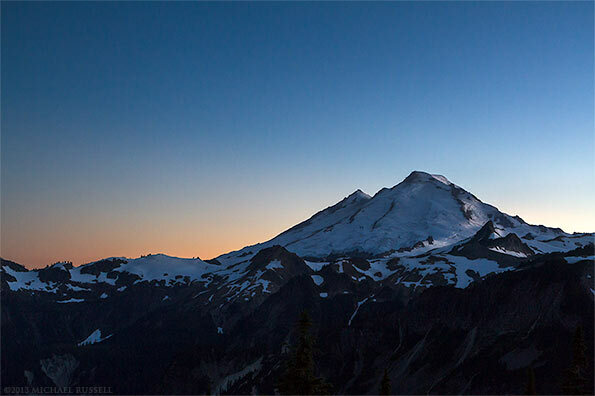 So sometimes I ignore it in favour of Mount Shuksan or one of the other nearby mountains available at Artist Point in the Mount Baker-Snoqualmie National Forest. This time, however, I like the small accents of light that showed up on the side of the peak, which gives this photo a bit more interest for me than others I made at the same time.